*This post is sponsored by Juicy Juice. For some of us school may have kicked off in last month in August and some this month in September! Either way, back to school can be super hectic to get into the swing of new schools, new teachers & new routines but lunch time doesn’t have to be as stressful! 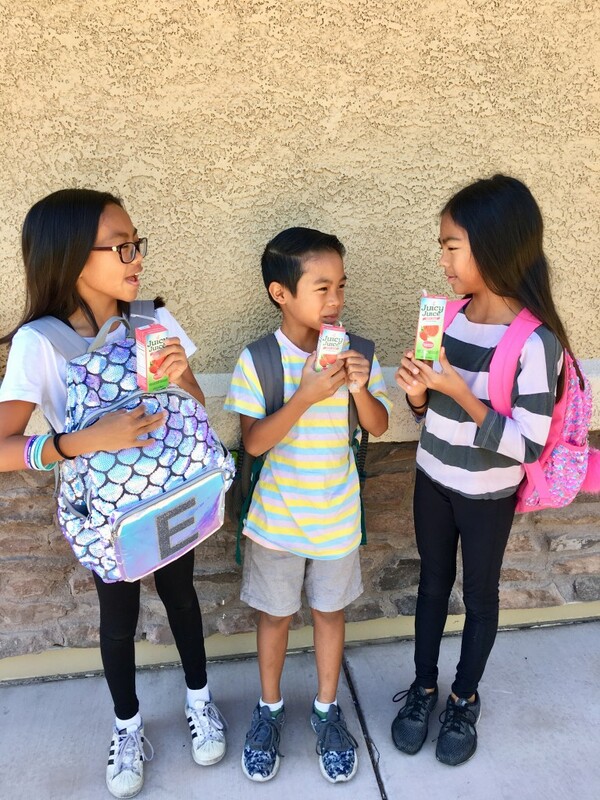 Recently Juicy Juice launched its Back to School Campaign with Jeff Mauro, dedicated to helping families alleviate that stress and help create easy and flavorful lunches. If some of you have been following my you tube channel, you already know how much I love EASY lunch ideas! The Co-Host of Food Network’s The Kitchen has teamed up with Juicy Juice yet again to share his tips and recipes for back-to-school lunches and even created a three part video series to show you how to create simple and tasty lunches your kids will love. Of the 3 videos Jeff created, my favorite hands down is Easy & Flavorful Lunches! It goes to show that lunches can be just as fun for the kids to make for themselves too. Here’s to a great school year and many more easy lunches and delish Juicy Juice!